In this edition – We take a deep dive into China’s ban of canola imports, and what this could mean for Canada. Canadian canola industry representatives have announced that China has stopped purchasing Canadian canola seed. Until recently, canola exports to China remained stable. But a few weeks ago, Chinese officials announced that they removed the canola export license from Canada’s largest exporter of canola to China, Richardson International. Chinese officials said that customs officials discovered pests in samples of canola imports from Richardson, but the Canadian Food Inspection Agency has not been able to find any pests in the canola. Additionally, strict customs inspections are being applied to a wide range of other Canadian agricultural exports to China, such as wheat and peas. While motive for this is not explicitly clear, many analysts argue that this is an attempt to send a political message regarding the detention of Meng Wanzhou. Why is canola so important? • Canola is one of Canada’s largest exports to China. In 2018, Canada exported more than $2.7 billion worth of canola to China, nearly half of Canada’s total canola exports. • Canola is particularly important to Western Canada – almost all canola is grown in the three prairie provinces, and it has significant economic impact for all three. The Canola Council of Canada calculates that the Prairie provinces see a yearly economic benefit of more than $23 billion (with a country-wide economic benefit of $26.7 billion). 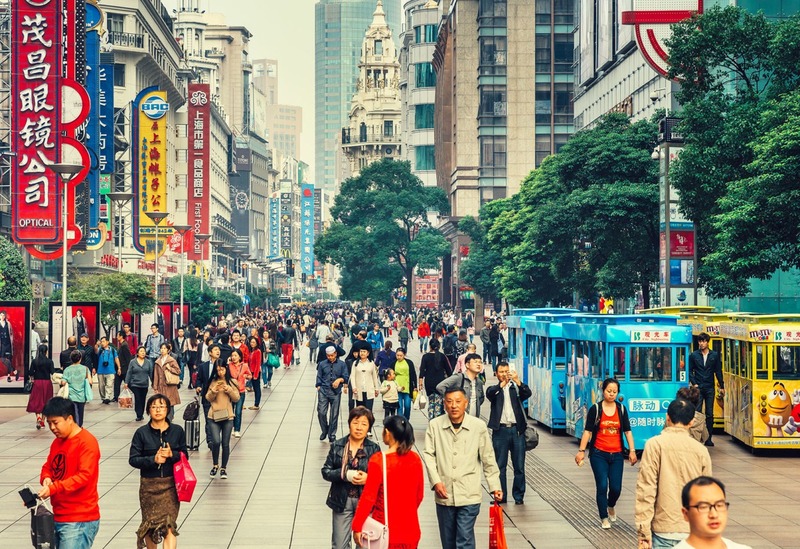 • Canada’s political relationship with China has been on tenterhooks for months now, but until now we have not seen much in the way of economic fallout. 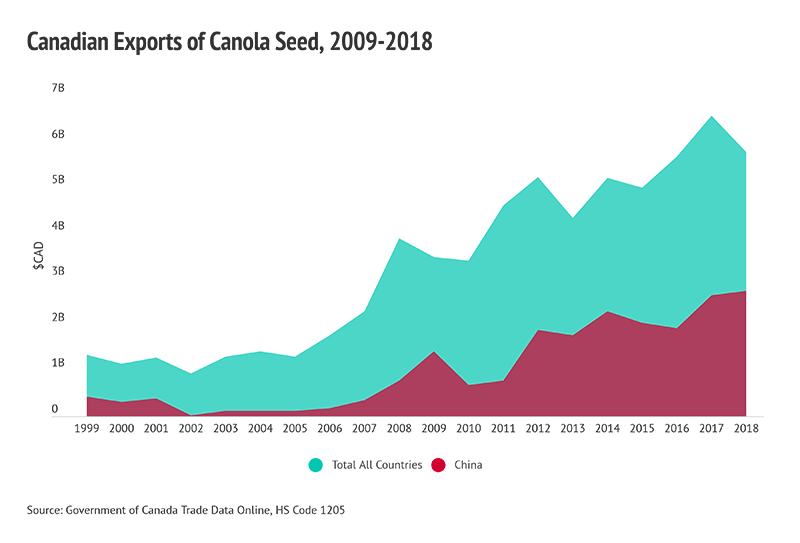 • While canola is Canada’s most important agricultural export to China, the implicit threat against other agricultural exports (from the “heightened inspections”) is certainly cause for concern. • Italy is the first country to become part of China’s Belt and Road Initiative in Europe; Italy resisted pressure from the EU and the United States in doing this. This threatens to deepen rifts that Italy has with its traditional allies, and represents a major inroad for China’s massive project.